Photo of: East Coast of Ireland: Dublin: Liffey. 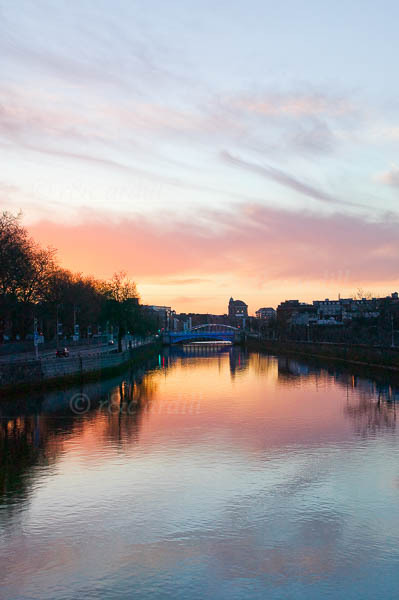 A dawn view of the River Liffey taken from Heuston Station. The picture shows the lovely dawn sky reflected in the still river.